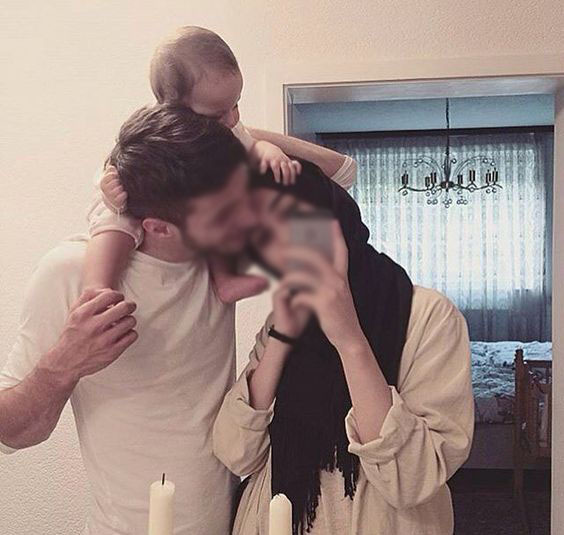 A Muslim man and a woman in marriage are not only required by Allah to have a peaceful and loving marriage for the sake of themselves but are also required to do so for the sake of their children. Allah has made marriage one of the most loved relationships because from this relationship stem other relationships. Infact they are the crux of all the relationships that Muslims abide by. One of the most important part of a marriage is raising a family. Allah has asked us to live together in marriage and raise children to be honest, loving human beings. But Allah has also asked us to raise children to be faithful, loyal and good spouses. And that is only possible if the Muslim parents are an example to their children. Children observe their parents since birth and one of the first relationships they observe is that of their parents with each other. This imprints on their minds and they grow up to be finest shadows of their parents, if and only if their parents were a true reflection of a good marriage. The best gift that you can give your children in marriage is to have them see loving, committed and loyal parents fulfilling the loved relationship in the eyes of Allah. Your children should see you looking at each other with love so that they replicate the same in their relationship. Doing so your child is learning what to expect from a good marriage and how to make it successful. Sure they will also see you disagreeing on many matters but you are also telling them that every relationship comes with its fair share of troubles and happiness. Your marriage is the legacy you will leave behind that your child will follow. Make sure its one worth following and make sure it’s the best gift to them.